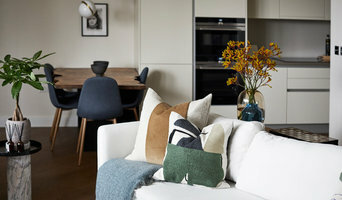 ONLINE HOMES STYLING & INTERIOR DESIGN SERVICES FROM £95 PER ROOM Sina and Hannah have fused together different talents to create furnishing solutions that will benefit even the most discerning of clients by delivering the very best options in the marketplace. Design Duo operates from the most tranquil of settings, at The Studio in rural Hertfordshire, allowing their creativity to flow & develop the inspiration for every individual proposition. Our exclusive service covers a wide range of areas from Central and South London to the Home Counties with home visits and a fee per room charges. Or perhaps try our online service and choose from one of our flat fee packages. SPACE PLANNING is an integral stage of the design process, whether it is re-shaping the entire interior architecture of the home or simply moving a wall to increase usable living space. Plan layouts are explored to improve the quality and quantity of space to suit the client's lifestyle needs. MOOD BOARDS Once the overall layout is agreed, the focus moves onto design and specification of fabrics, wallcoverings, paints and floor coverings. Samples of each are presented along with proposed furniture, lighting and accessory ideas. Each board helps the client to visualize the finished design. PROJECT MANAGEMENT Projects can be either fully managed or if the client prefers to self-manage then the design can be handed over to the contractors with close liaison to ensure the smooth delivery of the finished article. 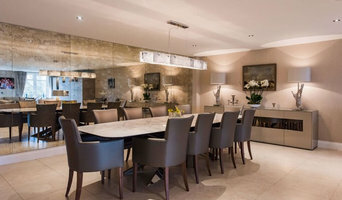 We have a strong network of suppliers, builders, architects, landscape designers, bespoke kitchen and furniture suppliers, and bathroom specialists. Work is closely monitored on and off-site to ensure each specialist carries out work to the highest standard. All members of the team work closely together to ensure seamless work is carried out. FINISHING TOUCHES Dressing the home allows the designer freedom for creativity and the client to bring their own personal touches to their dream home. BEST OF HOUZZ 2017, 2018, 2019 - Interior Design At Sai Interiors our goal is to create homes of distinction. Interior Design, that brings a feeling of luxury and elegance to your home. Interiors that are as individual as you! Whether it’s the entire house or a single room, no job is too big or small. Developing a good working relationship with our clients is the key to our success. We offer a comprehensive and approachable design service that completely caters to your needs. Our ultimate goal is to turn your house into a HOME. A place that is truly a blissful haven! Home Staging Selling your home? Maximise the market value and appeal of your property with our ‘Style for Sale’ service. With our unique combination of knowledge, skill and experience in renovating and dressing properties in preparation for sale, the service we offer can even increase the value of your home. With our fresh perspective and trained eye we can transform your home and put it ahead of the rest. Staffan Tollgard Design Group offers an award-winning architectural interior design service for an international clientele. We work collaboratively and creatively to create bold, contemporary interiors that our clients can enjoy. Now in our fifteenth year, our practice is known for its contemporary and creative work on London’s most prestigious streets, on bold new builds in the countryside and in locations across the world including America, Hong Kong, India, Jordan, Portugal, Saudi Arabia and Switzerland. Our flagship showroom in the the heart of London’s design hub is now open: find us in Grosvenor Waterside just off Ebury Bridge Road, Belgravia. Staffan is a full member of BIID, the British Institute of Interior Design and one of the 100 leading designers in House & Garden’s influential directory. The Group’s name reflects the collaborative and creative spirit of this hard-working practice. 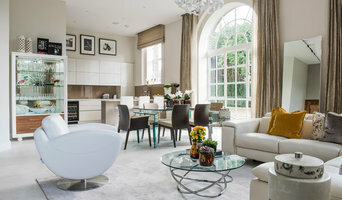 The Group’s work is featured in Volumes 16 &17 of Andrew Martin’s prestigious Interior Design Review. The Group is proud to be a member of the Guild of Master Craftsmen. Joy Flanagan Design is a full service Interior Architecture and Design practice with a specialty in creating authentic, bespoke, residential and commercial interiors. Every project is a unique opportunity to create the spaces we inhabit. It is through engagement with my client, development through the design process and thoughtful curation that very individual projects are realised.